I was out last night in south Austin for Laurie's birthday. I turned up a bit too early, before anyone else got there so spent some time strolling around South Congress in the SoCo area. Lots of interesting shops, coffee bars and places to eat. Also plenty of interesting people and things to take pictures of - I think I'll be doing this again with another camera in tow. 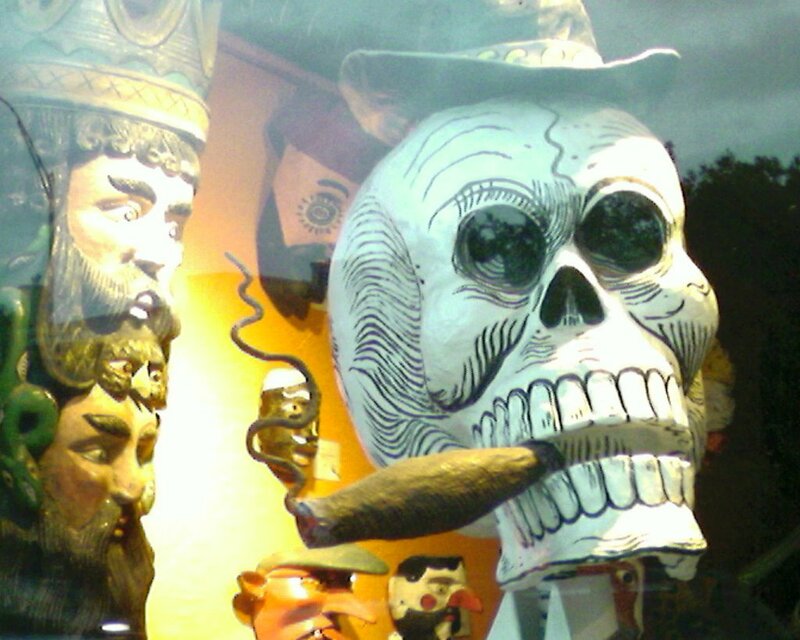 I found a shop selling crazy sculptures and masks and took the picture above. This is also a first attempt at mobile blogging and using the camera on my phone to try and take reasonably composed pictures. While it isn't exactly a 1DII, it does have a reasonable resolution (1.3Mp) sensor and hasn't done such a terrible job here. I have it with me all the time so I think it can be a good opportunity to continue taking pictures and playing with a camera, even when I don't have the more serious equipment along. At least this way it keeps my eye working and thinking about composition. I've been a bit slack in terms of actually taking pictures or taking my camera out anywhere with me, so this seems like an interesting way back in to more frequent shooting. In this case a polariser might have been wonderful to cut some of that glare from the window - I wonder if they make them for a 5.28mm f/1:2.8 lens ? 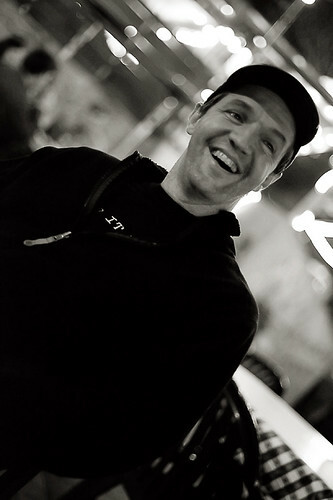 A friend of mine and a great photographer, Craig Tanner, has just launched a new photo blog. He's aiming to post five new images a week, along with a fortnightly podcast discussing this images. I think this one will be worth watching. Craig has a great way with landscape photography but has more recently been focusing on portraiture and more creative styles of image making. He's also a big evangelist for the Lensbaby.